A man was shot by police over the weekend as he was driving off in a stolen ambulance. 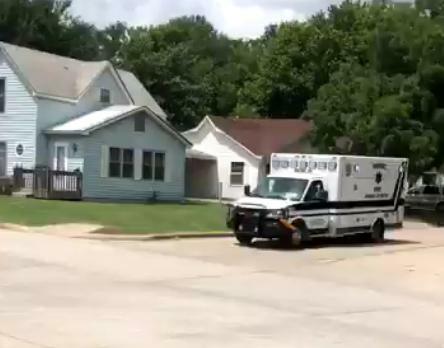 According to the Kansas Bureau of Investigation, their agency is investigating the officer involved shooting which occurred Saturday afternoon at the Walmart in Chanute. The agency says the Chanute Police Department requested KBI assistance to investigate the shooting. Preliminary information indicates officers from the Chanute Police Department responded to the report of a disturbance in the Walmart parking lot. They encountered a male subject behaving erratically, and requested EMS respond to evaluate the subject. EMS was communicating with the subject when he jumped inside the ambulance, locked the doors, and stole it. At that time, one officer fired several times toward the subject in the departing ambulance. Officers proceeded to chase the ambulance for approximately 15 minutes until they were able to stop it. Officers detained the subject. EMS treated him for injuries which included a non-life threatening gunshot wound. He was transported to a local hospital, and then to a Wichita hospital for further treatment. The subject was later identified as 38-year-old Trevor L. Jones. He resides in the Chanute area.